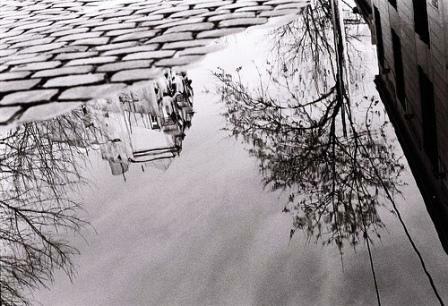 It’s raining today in Buenos Aires, a steady rainfall perfect for grading papers and catching up with favorite blogs. I’m contented, as yesterday afternoon I sat in Parque Las Heras just feeling the sun on my face. It was the first warm day in a long time where I could go without my jacket. 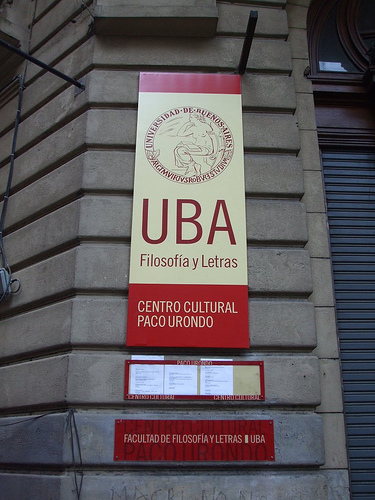 I have been very satisfied with the three classes I’ve taken at the University of Buenos Aires (UBA), if you are interested in taking spanish classes in BA. If you are self motivated and speak up in class, you should do well. I consider the price to be reasonable, especially because the price lowers for returning students. Eight week or sixteen week classes are offered. On the day of registration, when you arrive, queue up in a long line starting in the entryway. A professor will give you a form to fill out and send you into a larger room to your right to take a placement test. There is a cafeteria there if you want an espresso or cafe con leche. After you finish the test, you can give it to the instructors at the center table, and one of them will grade the exam and talk to you to measure your proficiency.